99% of the gifts on this site can be personalized–the cost of which is already included in the price. 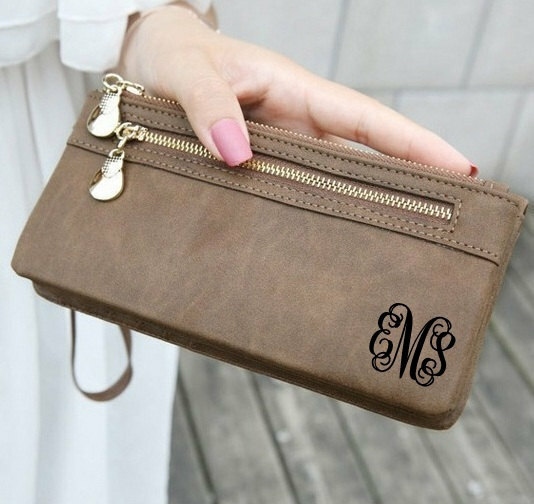 If you are toying with the idea of creating a gift bag for your bridesmaids this is the place you want to start. Buy a great tote bag and begin stuffing it with some smaller items like candles, compacts, picture frames, etc. This gift won’t be one that will end up in the back of a closet. There are many stylish options for bags including clutches, travel bags, cosmetic bags, picnic bags and more! 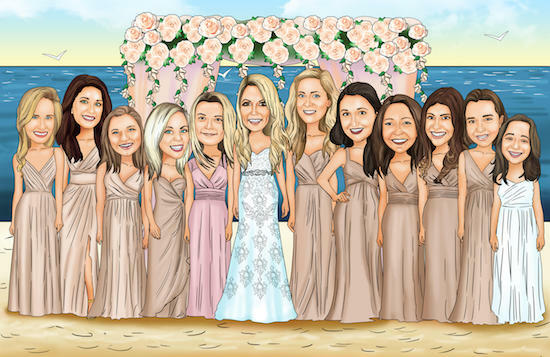 How about a caricature of your bridesmaids? 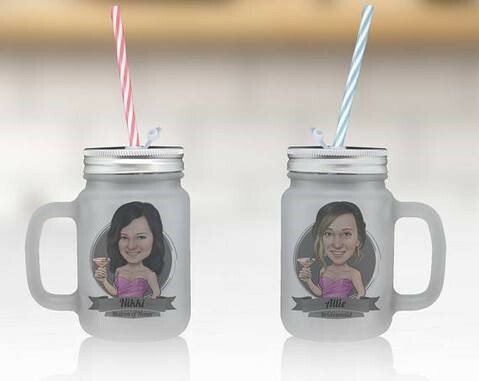 I thought these were some of the more unique and unexpected bridesmaid gifts that I have seen. 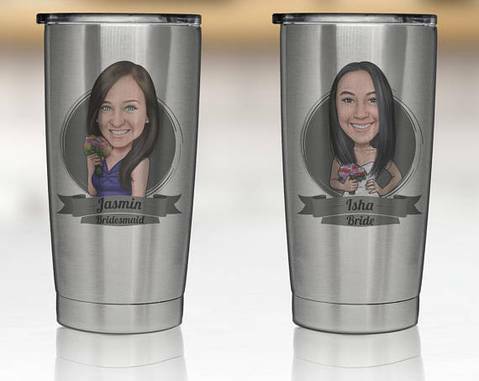 The process is pretty simple: just send in a photo of each of your gals and in 2-3 weeks they are turned into incredible caricatures which can be printed onto an assortment of different products. 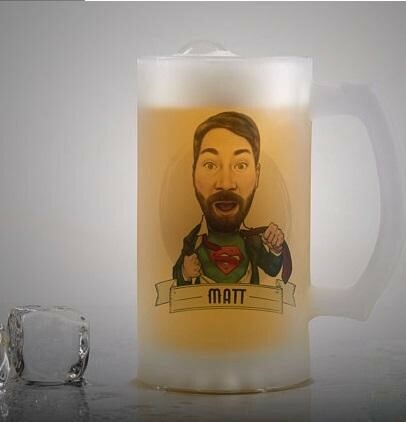 Just a warning…the caricature gifts take ~30 days, so be sure to plan ahead. Bridal robes make for some awesome photos on your wedding day. 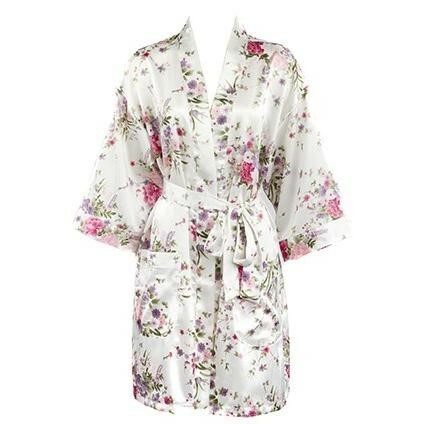 Bridesmaid Gifts Boutique offers a variety of bridesmaid robes in different styles. 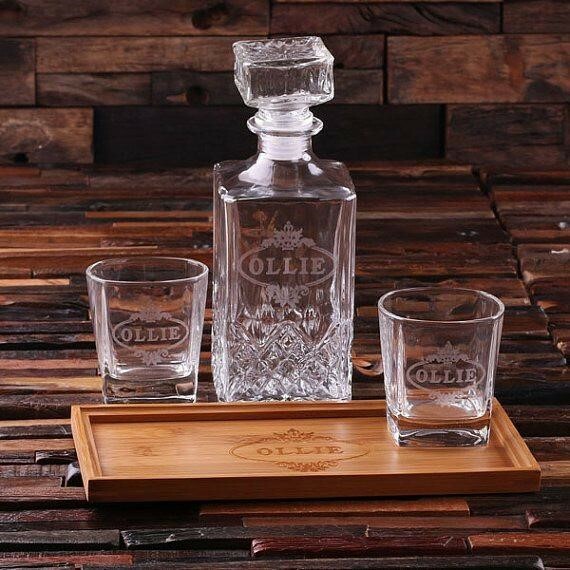 Some even come in a gift sets paired with a tumbler or stemless wine cup. 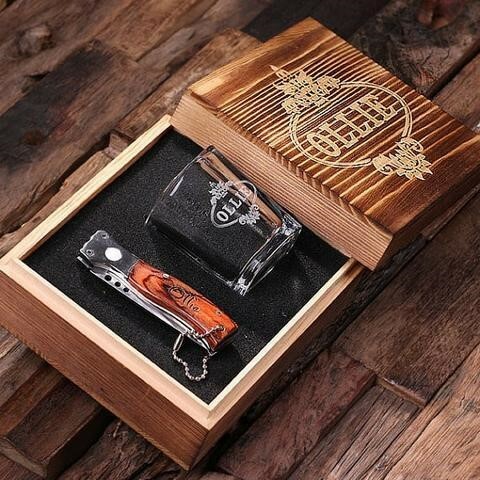 The ladies aren’t the only ones who get to take advantage of these unique gifts. 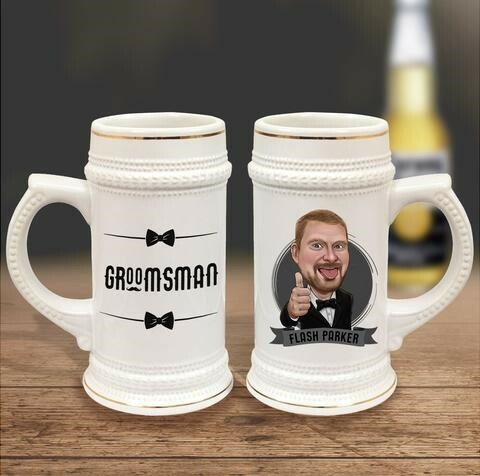 Groovy Guy Gifts also offers several products that can be caricaturized with the men in your wedding party. It seems that the ladies are a bit more inclined to make their own gift bags or gift boxes for their bridesmaids, but that’s not the case for the men. 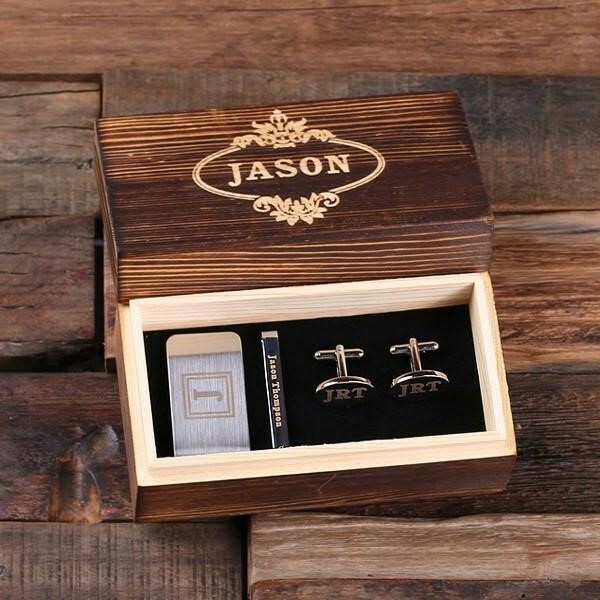 Groovy Guy Gifts has made looking thoughtful simple with an assortment of gifts sets that come in some awesome personalized rustic wood boxes. 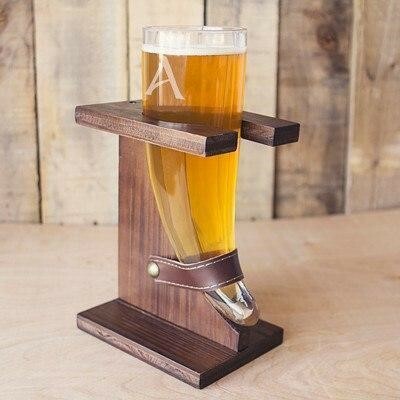 Let’s be honest, the male half of the wedding party typically centers their gifts around drinking. 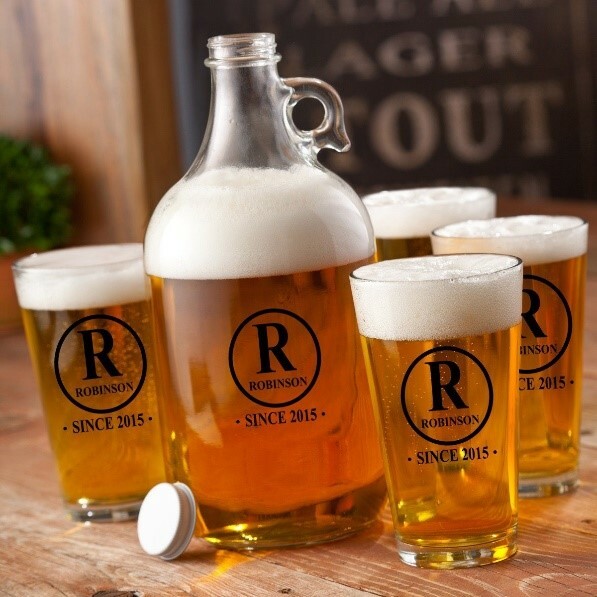 Groovy Guy Gifts offers an incredible selection of personalized beer mugs, growlers, flasks, copper mugs, decanters, whiskey stones and more! 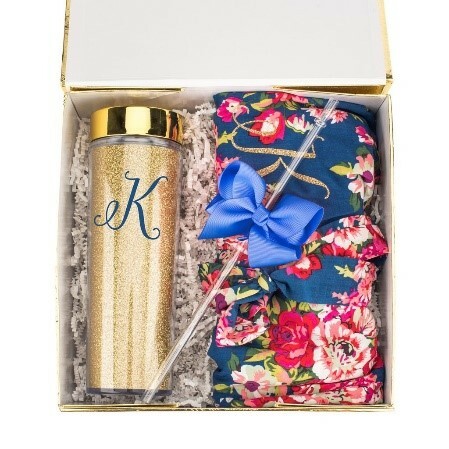 So if you’re looking for a selection of the best bridesmaid gifts, be sure to check out BridesmaidGiftsBoutique.com. 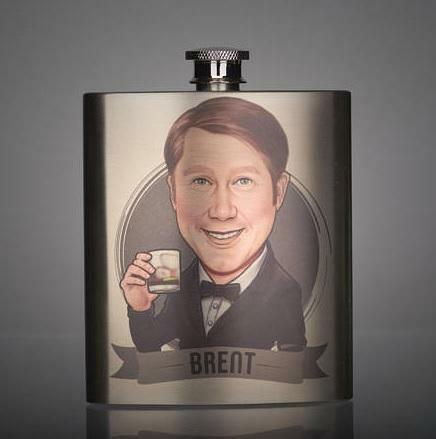 And for personalized gifts for the men check out GroovyGuyGifts.com. I was inspired by a recent client’s absolutely gorgeous blush diamond to write about some of the cool wedding band trends I’ve been seeing lately. It was pretty simple back in the day: you got an engagement ring, planned a wedding, attended bridal showers and wedding rehearsals, then walked down the aisle to receive a simple gold band on your wedding day. It’s definitely a tried and tested formula that, while still existing, doesn’t necessarily have to be followed today. Currently, the trend is to find the perfect ring that not only fits the budget, but also expresses the couple’s personality. A black diamond is hardly common, yet it is undoubtedly edgy and striking. A wedding ring adorned with small black diamonds is the perfect choice for the unconventional bride and groom with an off-the-beaten-path venue and an unusual wedding dress. A black diamond band can effectively complement a striking rose gold engagement ring. Materials made of carbon fiber can be found in a lot of things, from luxury cars to space shuttles. Not only are they sleek and futuristic-looking, they’re also super lightweight and highly durable with clean lines. Carbon fiber rings look ultra stylish and modern, and are perfect for the hip and fashionable betrothed couple. Brides looking for unusual wedding rings that don’t stray too far from traditional styles can opt for a pair made from rose gold. With its attractive pink hue, rose gold is a precious metal that can make any wedding ring stand out, yet still look both sophisticated and romantic. It even works well with engagement rings created from different precious metals. If your engagement ring is made of white gold, for example, a unique rose gold wedding ring worn with it would look absolutely striking on your hand. Organic wedding rings seem like they were literally plucked from the ground with all their textures and uneven lines. They look both unusual and beautiful, and are usually handmade and customized to your preferred design and color, making them true originals in themselves. The best part about these rings? They don’t typically cost a fortune. Sculpted rings of rustic designs are gaining traction in the field of wedding rings. But even with all the scatter and unevenness, these types of rings can be dressed up with diamonds and rose gold to look undeniably fancy. Wedding rings of rustic designs are an ideal option for the bride and groom who detest the cold smoothness of traditional wedding bands. 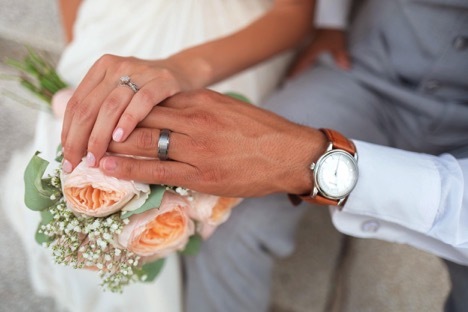 Your wedding band will be that one piece of jewelry that you’ll most likely be wearing day in and day out, so the choice of which type to get is a big one. The challenge is to find something that complements your engagement ring AND look just as amazing by itself. An unusual yet unique wedding ring such as those carbon fiber rings can not only do just that, but can showcase your personality, as well. 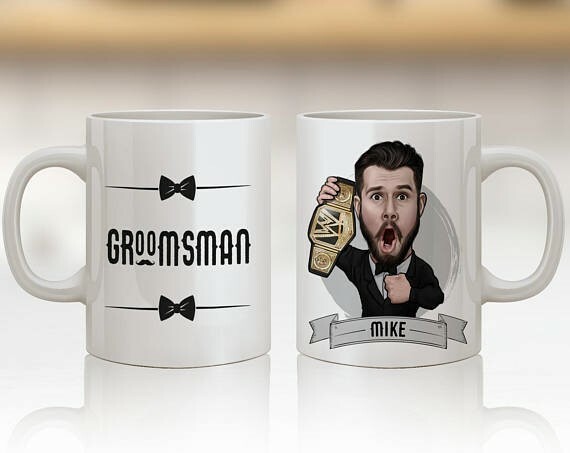 We are asked for advice on many things throughout a wedding planning process, but questions about gifts for wedding party members is something that comes up really often. Our clients are concerned about how to show the immense gratitude they feel to their closest friends and family members who are supporting them during such an important time in their lives. A wedding is the culmination of a journey and the beginning of a new one so it’s the perfect time to thank the people who’ve supported you throughout. You wouldn’t be where you are without your friends’ honest advice and support as you navigate through life and relationships. We don’t say thank-you often enough to those who have watched out for us so take this chance to offer each of them a small token of appreciation. Pour your heart out into each present but you don’t have to empty your wallet. Review your budget and see how much you can allocate for presents. 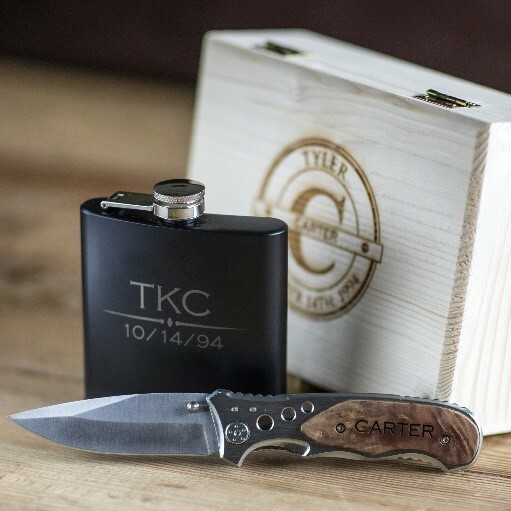 Being tight on finances isn’t a problem these days as several shops and brands now offer quality gifts you can offer to your groomsmen and bridesmaids without breaking the bank. Ask around your friends, inquire at neighborhood shops or go online. 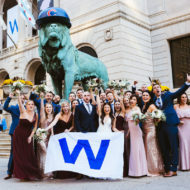 If you really want to know how much other couples usually spend, average spending for bridesmaids is around $75-$150 each and $30-$50 for every groomsman. Keep in mind it’s not the price tag that matters most but the meaning behind them. One meaningful gift is much more appreciated than several small ones of lesser quality. There’s no rule as to how many gifts you should give which is good news. Get creative! 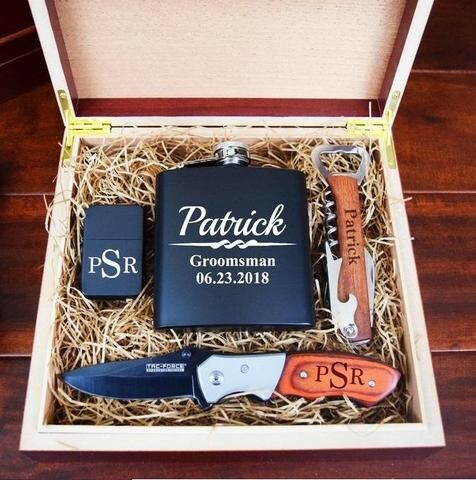 Giving out wedding party gifts is done traditionally during the rehearsal dinner so you can honor them in the presence of other friends and family. If you want to keep it more private, arrange for another moment with your entourage, so you can give your most heartfelt messages as you present the gifts. Begin thinking about what to give several months ahead. You can then be keeping an eye out for sales in store or online. Spend a little time every few days looking around. The last 2 months of the wedding planning process can be quite hectic, and you don’t want gift-giving to send you over the edge! Let this be one of the fun parts of the process. 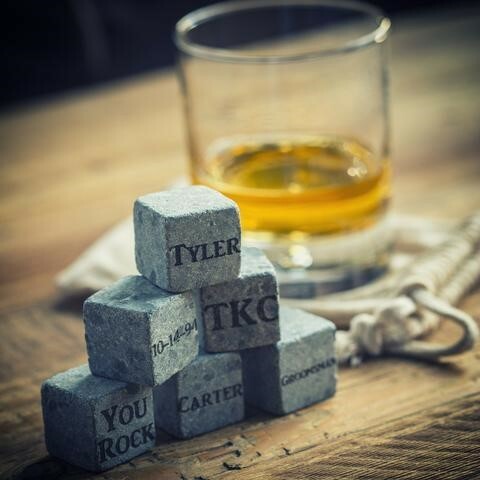 If you’re looking for something sentimental, there are several gift options you can customize for each wedding party member or even make something yourself (or purchase something that looks hand-made—the best of both world!). Is your entourage composed of childhood friends? Think about giving your bridesmaids an updated version of the friendship bracelets you had as kids, or your groomsmen a travel bag or wallet with the emblem of your high school team. There is no rule on uniformity: you can even give each person something that symbolizes their personality and how they’ve made an impact on your life. No matter what you decide to give your wedding party, just make sure you are giving from the heart, and you cannot go wrong! Instead of frosting a wedding cake with layers of fondant or buttercream, many bakers are increasing the filling between tiers and leaving the layers exposed. This naked look has quickly become popular with its refined style and completely elevated look. With just as many ways to customize these cakes as their fully-frosted counterparts, you’ll be able to work with your baker to achieve a custom look that reflects your wedding’s style. This three-tier mille-crepe cake by Lady M Confections was decorated with bright pink and purple flowers, coordinating with the wedding’s fun and whimsical feel. 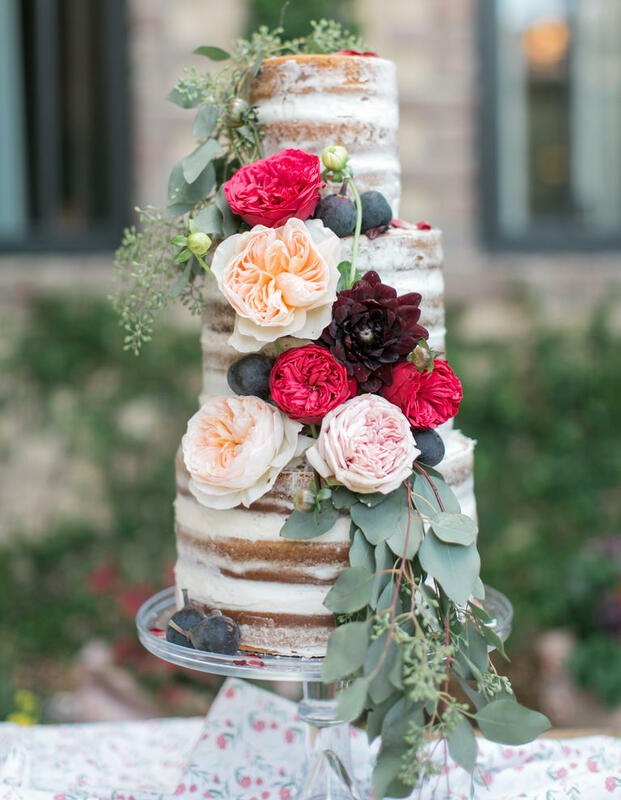 The saying “great things come in small packages” could not be any more relevant to this single tiered naked cake filled with fresh fruit created by Stephanie Nagle of Whisk and Crumb. How adorable! This slim tower of tall tiers with a cascade of seeded eucalyptus and Juliet garden roses gives all the romantic feels for your special day. If you and your significant other are chocolate and beer lovers, this chocolate-stout dessert is perfect for you two! It’s filled with butercream, drizzled with caramel and chocolate ganache, and topped with pecans…yum! 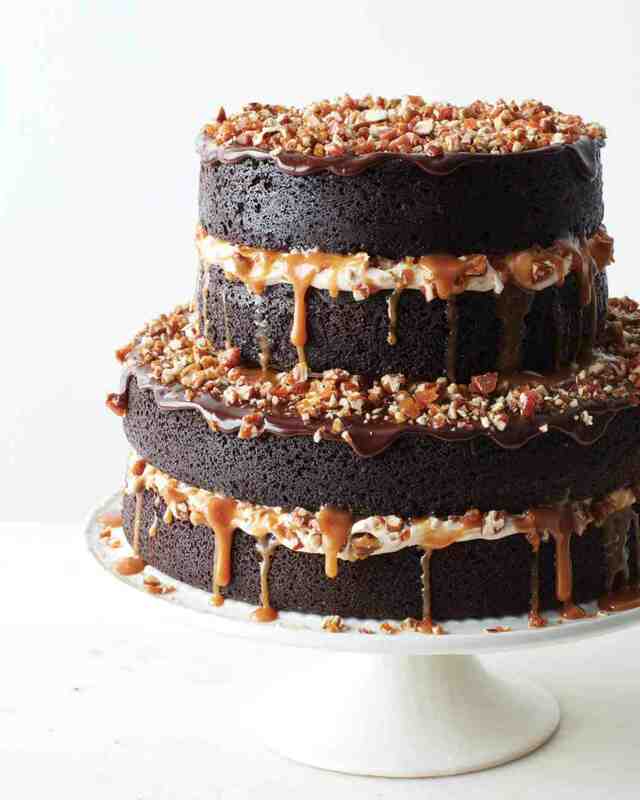 Did thinking about all these mouth-watering cakes make you hungry? We know we were left longing for even just a small taste! 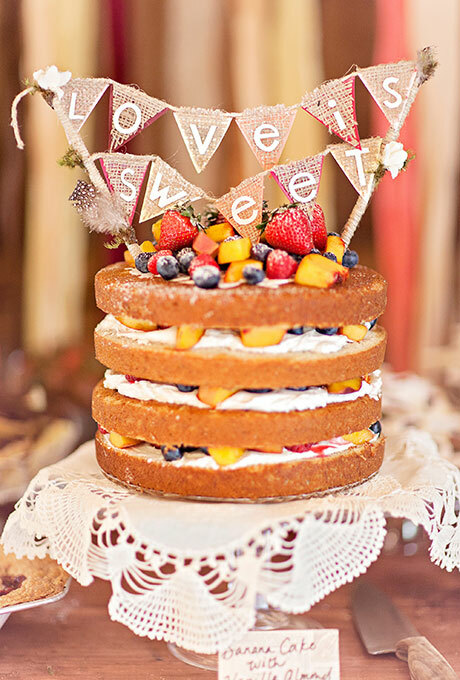 Next time you’re considering what to do for dessert, take time to think about these creative cake ideas! 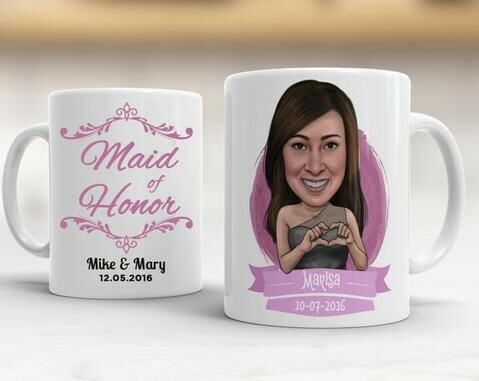 What do you think you want your guests to remember most from your wedding day? The stunning decor? The party atmosphere? The blushing bride or dapper groom? 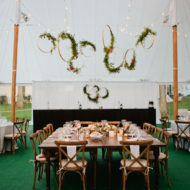 For many of your guests, the most notable part of the wedding day will be the food. When a guest thinks back on what they ate at your wedding, they may use all 5 senses to bring them back to your big day– from the visual presentation, the “crunch” sounds, to the delicious aromas, the texture, and, of course, the taste! The dinner menu does not need to be limited to your typical chicken or fish dinner. That is why it is becoming more and more popular for couples to shy away from the buttoned-up traditional menus and move toward the more relaxed feel of comfort foods for their guests to indulge in. 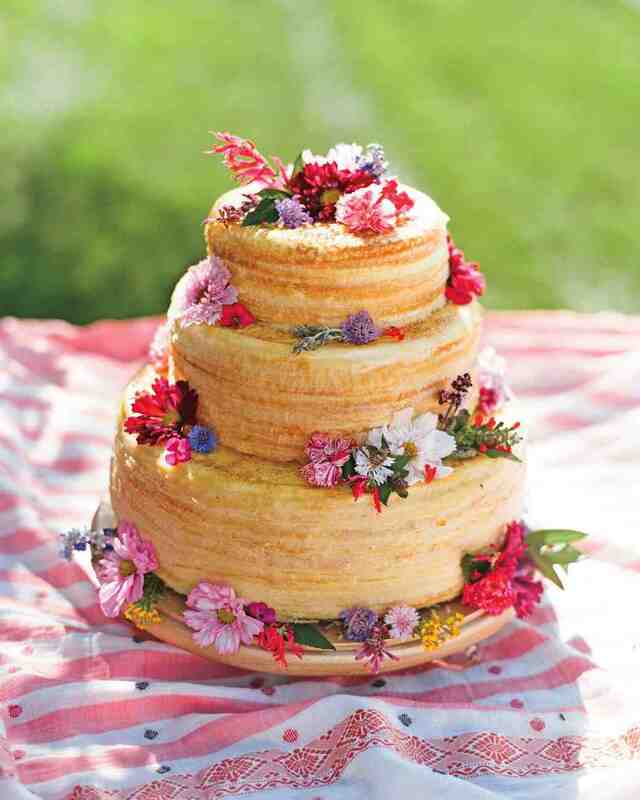 If you worry that comfort food will make your wedding seem too casual, think again! Just look at these awesome elevated comfort food ideas! 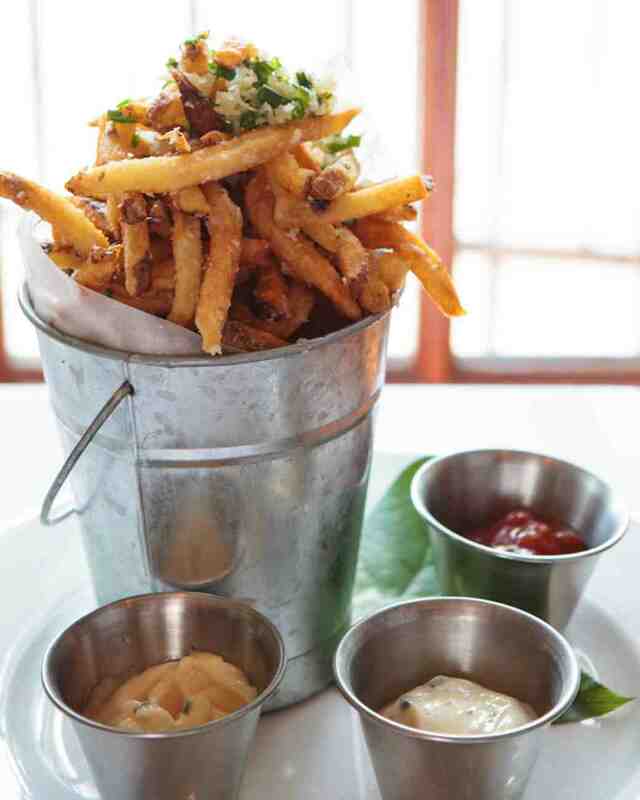 Think of fancy French fries seasoned with pink himalayan sea salt and paired with delicious dips such as garlic aioli, truffle mayo, and chipotle ketchup. These are not fast food! 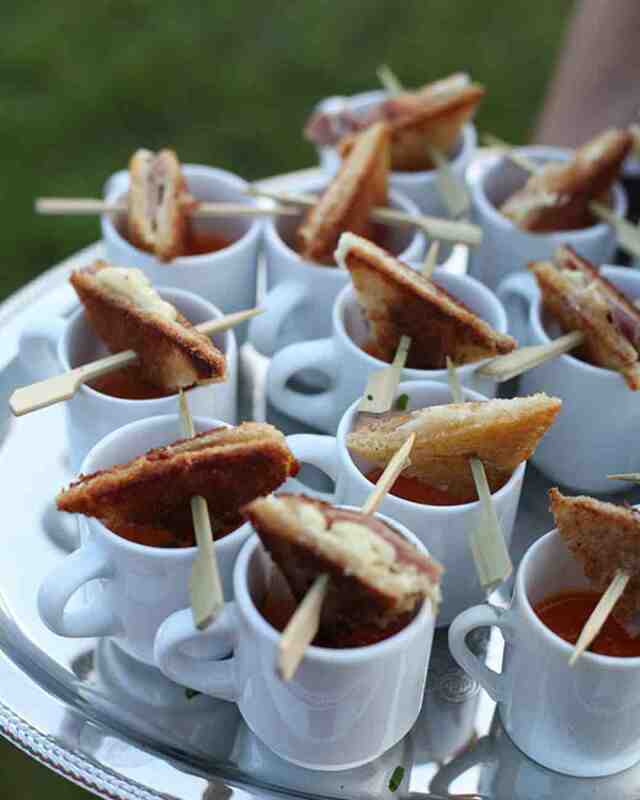 Another great cocktail hors d’oeuvre is grilled cheese and tomato soup. Simply shrink down the sandwich sizes and place them over soup shooters. Adorable. A fantastic main course idea is a taco bar. 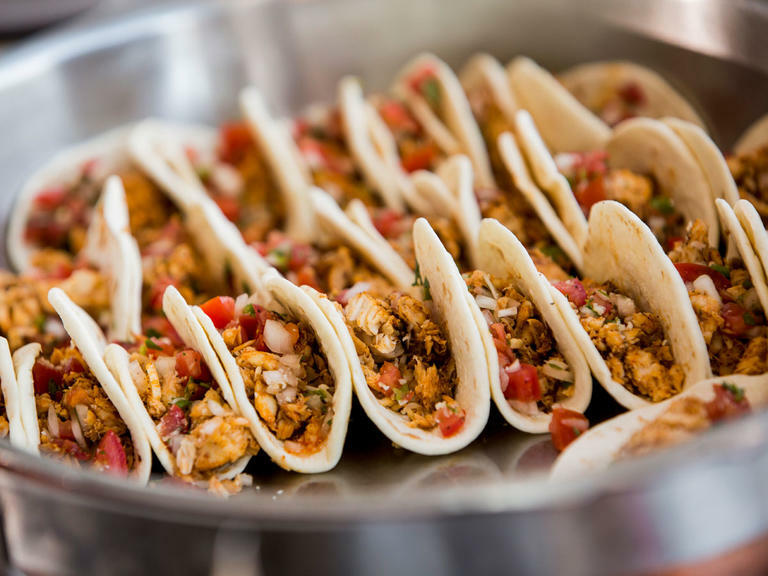 Serve the tacos buffet style and it will add a fun way for guests to choose their own fresh ingredients and toppings for this crowd pleaser! And who doesn’t love pizza? 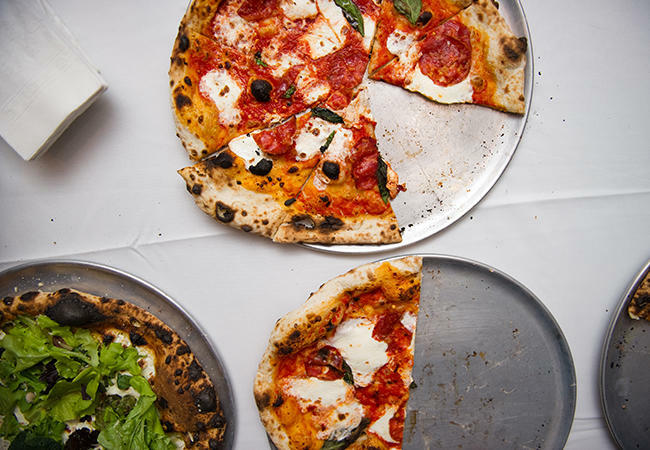 Pizza is destined to be a huge hit at your reception, so consider having it as a late night-snack to keep the fun eating theme going all night long. Try these ideas or create your own comfort food idea, and we are positive it will be a hit at your wedding!